During my first term, we saw that in order to set and achieve bold goals, we need to start working on them in year one. This is how we closed DC General and opened the Entertainment and Sports Arena. With both of these projects, we started the work in my first year in office, stayed focused and worked with the community, and, four years later, we cut the ribbon on the ESA and locked the doors to DC General. What would it take to solve housing affordability so that DC is a place where people of all incomes can continue to thrive? What would it take to allow all District residents to live mentally and physically healthy lives? What would it take to enable all DC residents to travel safely between any two points in the city in under 30 minutes and for for less than $5? What would it take to completely close the achievement gap? What would it take to provide a pathway to the middle class for every District resident - today and for jobs of the future? What would it take to cut gun deaths in half? What would it take to make all interactions with DC Government more seamless and personalized? What would it take to make DC the greenest, most sustainable city in America? By working together across all eight wards, we can answer these and many other questions. I hope that next month you will join me at our annual budget engagement forums as we consider these questions and work to develop and fund solutions that work for our community. ICYMI: As the partial federal government shutdown continues, the Bowser Administration has launched dc.gov/shutdown. This website, which we will continue to update, lists resources available to impacted federal employees. 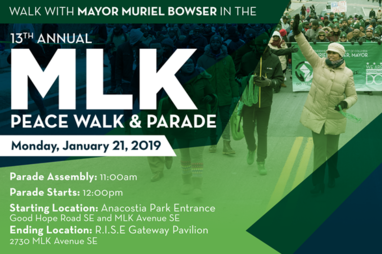 This Martin Luther King Jr. Day, walk with Mayor Bowser in the 2019 Martin Luther King Jr. Peace Walk and Parade. To join us in honoring the legacy of one of our country's greatest leaders, meet at 11:00 a.m. at the Anacostia Park entrance on Good Hope Road and MLK Jr. Avenue, SE. 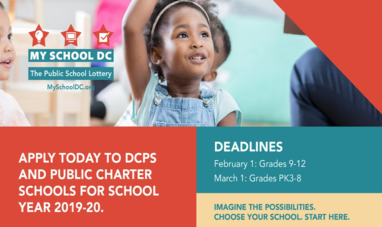 The My School DC lottery application for school year 2019-2020 is now open. The application deadlines are February 1, 2019 for grades 9-12 and March 1, 2019 for grades PK3-8. My School DC is the city’s common application and public school lottery for DC Public Schools (DCPS) and the majority of public charter schools (grades PK3-12). Have questions or need help with your application? Call the My School DC hotline at (202) 888-6336, Monday through Friday from 8:00 a.m. to 5:00 p.m. or email info.myschooldc@dc.gov. For more information and to apply, go to www.myschooldc.org. 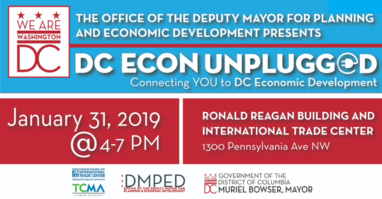 On January 31, join the Bowser Administration at DC Econ Unplugged, an event to connect residents and businesses to the services and resources that grow DC’s economy. From arts to housing, transportation to environment, come meet the people who keep Washington, DC the capital of inclusive innovation. enjoy DC music, arts, and food tastings. This week’s District Minute features stories about the signing of the LOVE Act and the Mayor's Second Term Outlook Address. The mission of the Department of Forensic Sciences (DFS) is to provide high-quality, timely, accurate, and reliable forensic science services using best practices and best available technology, focusing on unbiased science and transparency, to enhance public safety and health. 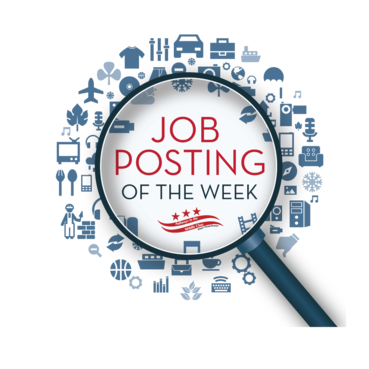 DFS has an opening for a Forensic Scientist. This position is responsible for recognizing, recording, and recovering evidence in criminal investigations at crime scenes by analyzing, photographing, collecting, preserving, and presenting physical evidence. All details regarding this vacancy, including qualifications, can be found by visiting the job announcement.